Quickly preview and license REAL latin music -from the original artist- for your commercial, film, TV, web and multi-media project. Our growing catalog is now managed by our dedicated licensing and publishing division Latin Pulse Media. Call +1.775.230.6501 for quick turn-around on music licensing, song placement, music supervision and rights clearance services. Latin Pulse Media is an ASCAP & BMI registered music publisher that prides itself on maintaining excellent working relationships with the top independent Latin music artists. We are your source for 100% pre-cleared genuine Latin music for Film & Television. Our catalog consists of commercially released masters for maximum authenticity. 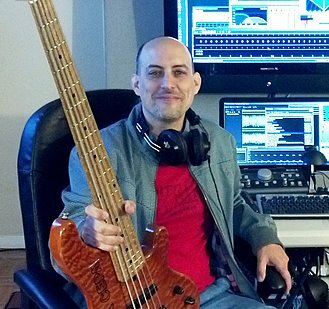 Mastering engineer and pro-bassist Michael Lazarus is Latin music specialist dedicated to assisting independent artists generate revenue from their intellectual property (songs). He also manages the largest Cuban music portal in the world -- TIMBA.com -- and the Latin music download store Latinpulsemusic.com. Michael is an voting & engineer member of the Recording Academy Producers & Engineers Wing (P&E Wing -- Grammy and Latin Grammy Awards) and member AIMP, IMDB Pro, NALAC, NALIP, and NARIP (the National Association of Music Industry Professionals). To answer a VERY common question regarding ONE-STOP Licensing: 'Compositions' and 'Masters' are separate creative works protected by separate copyrights. When a songwriter writes the words and music to a song, he or she creates a copyright in that composition. Whenever any artist (including the original songwriter) records the composition, that artist creates a new copyright in a master recording. There can be many masters derived from one composition. SUBMISSIONS: Currently accepting music. Electronic submissions are accepted and reviewed (mp3, wav and aiff are ok). IMPORTANT: Please ensure you submit relevant music, meaning Vocal & Instrumental Latin (or Latin influenced) music and spanish language music, for example material that can be categorized as afro-cuban, timba, salsa, tropical, latin jazz, latin pop, urban, reggaeton / reguetón, latin hip-hop and rap, electronic dance music (EDM), rock en español, etc. DEALS: All deals are negotiated on a case-by-case basis. Licensing fees and performance royalties are typically split is 50/50. Catalog includes both exclusive and non-exclusive music. All licensing contracts and agreements are available in Spanish. Hablamos Español.